Cause/Symptoms: Virus. Low-grade fever, headache, malaise, runny nose, red eyes, enlarged tender neck nodes. Rash starts on the face, spreads in 24 hours and lasts 3 days. Transmission: Person to person by direct contact with respiratory secretions. Highly contagious. 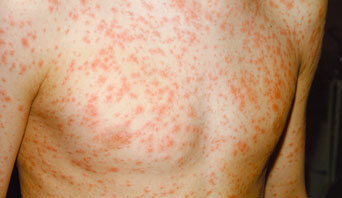 Period of Communicability: For about 1 week before the rash starts until 7 days after the onset of the rash. ~ ten (10) days after onset of the rash. Cause/Symptoms: Virus. 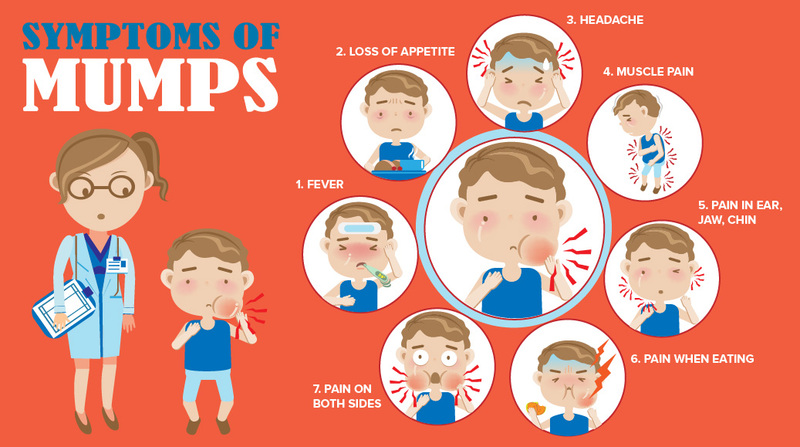 Fever, swelling and tenderness of salivary glands slightly above the angle of the jaw, on 1 or both sides. Transmission: Person to person by direct contact with respiratory secretions or saliva. Incubation: 14 to 25 days; average 16 to 18 days. Period of Communicability: 7 days before to 9 days after symptoms develop.